I often get emails from bands, both from Barnsley and also from elsewhere around Yorkshire. Often they are looking for gigs; they ask about local venues that support live music or the various promoters that are working at any one time. Often I give them details of bands that work within the same genre – encourage hook-ups and encourage contact. Recently, We Are Barnsley launched their local music page, which after eight months of promoting the page, they launched this month with just 12 acts (inc also covers bands and solo acts), many of which had already been previously featured in The Chronicle. So, inspired by that, I wanted to show you the real deapth and breadth of talent this town has right now. So first up, I thought I’d list for you all currently active bands either performing or writing original material. By currently active, I mean performing live or shown to be writing/recording in the last 12 months. This will be done in two parts; Bands A-L, then Bands M-Z. I will then follow that with a list of solo artists performing and writing original material. And if I’ve missed anything, feel free to send me details and I promise to include it. Explore. Enjoy. Get following and liking. Find bands with a similiar outlooks, hook up and collaborate. FLAW 13 Sam and Annie are an acoustic indie/pop duo from Barnsley. They play mostly chart covers at the minute but are now also writing their own material. They’re influenced by artists like Ed Sheeran, Bastille, Jessi J, and others. They take popular songs, tone them down a little, then but their own acoustic stamp on it. Your TDS listing needs some editing – One is a Scarborough based band and the other is still a Barnsley based band. Presents you with a dichotemy but there is a solution. The list is late 2013, so it was accurate for that time. 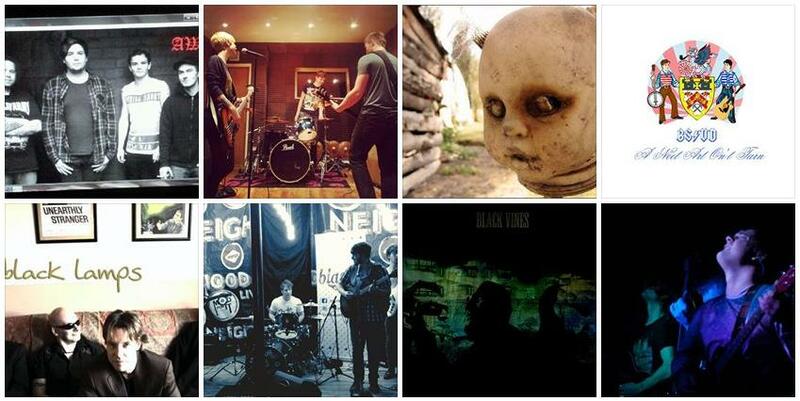 All are barnsley bands or bands with members based in barnsley. I do intend to do a new version of this but probably not until the later half of this year.